Pharmaceutical manufacturing is subject to strict regulatory inspection. For this purpose, regulatory bodies issue guidance documents that draw on international standards, with many of these documents impacting on contamination control and assessment. 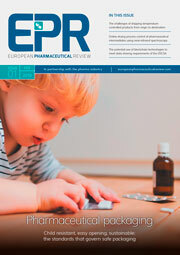 This article surveys some of the recent developments in regulatory requirements and standards that have taken place during the past 12 months, highlighting those aspects that are of relevance to pharmaceutical microbiology. The review takes stock of pharmacopoeial changes and inspectorate guidelines and is divided into different sections based on the broad subject matter. The World Health Organization (WHO) has issued a draft document for the establishment of endotoxin limits for parenteral preparations. Once approved, the text will be incorporated into the International Pharmacopeia. The discussion paper is entitled ‘Implementation of the Revised General Monograph on Parenteral Preparations in the International Pharmacopeia: Limits for the Test for Bacterial Endotoxins (3.4)’1. The bacterial endotoxins test (BET) is an important test for parenteral products because some routes of administration, such as through the vein, present a high risk to the body should pyrogenic substances be present. The draft paper also addresses those parenteral products described in the International Pharmacopeia that did not have endotoxin limits assigned. In assigning the endotoxin limits the WHO approach uses the established method for calculating endotoxin limits. This method is the same as that outlined in the European Phamacopeia, although the types of pharmaceutical substances included differs. 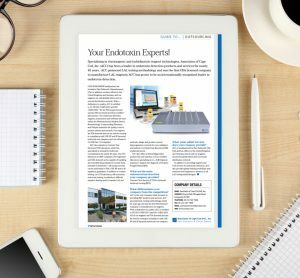 In other developments in endotoxin testing, the Food and Drug Administration (FDA) has published a guidance document known as ‘Q4B Evaluation and Recommendation of Pharmacopoeial Texts for Use in the ICH Regions Annex 14 Bacterial Endotoxins Test General Chapter’2. This annex is one in a series of documents that describes the evaluations and recommendations by the Q4B Expert Working Group (EWG) of selected pharmacopoeial texts to facilitate their recognition by regulatory authorities for use as interchangeable in the three ICH regions (European Union; EU, Japan and the US). Implementation of the Q4B annexes is intended to avoid redundant testing by industry. 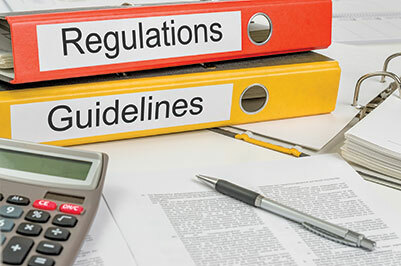 Meanwhile, a new FDA draft guidance document has been developed to notify manufacturers of the recommended endotoxin limit for the release of intraocular devices and single-use intraocular ophthalmic surgical instruments/accessories. This is designed to reduce outbreaks of Toxic Anterior Segment Syndrome (TASS), a sterile inflammatory condition that is localised to the anterior segment of the eye following intraocular surgery. Sterilisation and depyrogenation are key to aseptic processing. Microbiologists play an important role in assessing the capabilities of depyrogenation ovens, especially in relation to the ability of the ovens to destroy microbial toxins. The USP has issued a draft chapter on depyrogenation, Chapter 1228.1 ‘Dry Heat Depyrogenation’, with a view to the chapter being published in 2015. It will make up part of a series of texts addressing different sterilisation methods (these stem from the USP general information chapter ‘Sterilization and Sterility Assurance of Compendial Articles’ <1211>). Depyrogenation in ovens is typically performed at temperatures in excess of 170°C. Tunnels for depyrogenation ordinarily operate at higher temperatures. This new draft chapter, developed by the USP Microbiology Expert Committee, provides an overview of the process, routine process control, and its validation. Also in development is Chapter 1229.11 ‘Vapour Phase Sterilisation’. This type of technology is used for the decontamination of isolator systems, where the method of choice is gaseous hydrogen peroxide. Verification of decontamination is assessed through the use of biological indicators. The European Commission has published a new version of Annex 151, which relates to validation4. Validation is the documented act of demonstrating that a procedure, process, and activity will consistently lead to the expected results. Validation includes the qualification of systems and equipment, including cleanrooms and clean air devices, which are required for maintaining contamination control. Annex 15 of the European Union (E.U.) 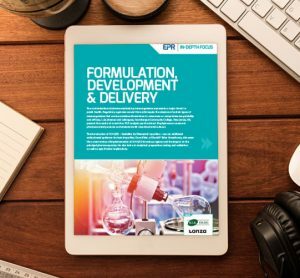 GMP guide is concerned with the ‘Qualification and Validation’ of pharmaceutical facilities, addressing requirements for equipment, utilities and processes that are used for the manufacture of medicinal products. Arguably the most important addition to the draft Annex is the inclusion of a section relating to change control. Change control is an established part of GMP and with respect to this any planned changes to the facilities, equipment, utilities and processes, which may affect the quality of the product, should be formally documented. The validation process is no longer a series of exercises undertaken when the equipment is installed. Here the revised Annex embraces regulatory thinking in relation to the ‘life cycle’ approach. Behind this philosophy is the concept that the qualification should extend through the life span of the item of equipment. To this end, organisations should monitor equipment or utility status and product quality to ensure that a state of control is maintained throughout the lifecycle. This means that, in relation to air systems and water, they need to be regularly assessed for microbiological quality. In relation to cleanrooms, a new draft of the international cleanroom standard ISO 14644 Part 1 has been produced and the title has been revised to read: ‘Cleanrooms and associated controlled environments — Part 1: Classification of air cleanliness by particle concentration’. The draft is open for public comments. The adoption of a more consistent statistical approach to the selection and the number of sample locations. The introduction of initialism (ACP) in order to differentiate the airborne particle cleanliness attributes of a cleanroom from other attributes such as surface cleanliness by particle concentration (SCP). Data is evaluated so that each location is treated independently, with a 95% level of confidence that at least 90% of the cleanroom or clean zone areas will comply with the maximum particle concentration limit for the target class of air cleanliness. A new concept of a “representative” sample location is introduced, allowing for particle monitoring locations to be either fixed or evenly distributed, or variable and randomly selected. The standard also allows for additional sample locations to be added to the minimum number of sampling locations. The statistical confidence is therefore not based on confidence intervals in the normal distribution. Instead it relates to the process by which the measuring locations are selected. Furthermore, a new draft of the international cleanroom standard ISO 14644 Part 2 has been produced. The draft is open for public comments. The title of the standard is: ‘Cleanrooms and associated controlled environments — Part 2: Monitoring to provide evidence of cleanroom performance related to air cleanliness by particle concentration’. Copies of the drafts are available from national standards agencies. The past few years have seen advancement in rapid microbiological methods, from particle counters that can differentiate inert particles from biologic ones, to fluorescent labelling technologies for water testing. As a reflection of these changes, the USP is updating its chapter on advanced microbiology (Chapter 1223 ‘Validation of Alternative Microbiological Methods’), with a view to issuing new guidance in 2015. This proposed revision provides guidance on the selection and implementation of assay methodologies to serve as alternatives to compendial microbiological methods. 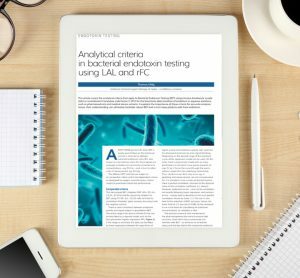 The EMA has published the concept paper: ‘Transferring quality control methods validated in collaborative trials to a product/laboratory specific context’5, which looks at ways of improving the reliability and robustness of laboratory methods, and provides some useful advice on the transfer of methods between laboratories. Before a method that has undergone the above process can be used for development and quality control purposes a final hurdle must be overcome: the validity of the method must be demonstrated within the hands of the individual laboratories proposing to use it and for the purpose of testing of the specific medicinal products on which it will be used. Since microbiology laboratories are increasingly becoming equipped with rapid and alternative methods, this type of guidance is of great use, especially given that some aspects of analytical methods are less familiar for microbiologists. In relation to the transfer of analytical methods, during 2014 an update was made to E.U. GMP Chapter 6 ‘Quality Control’6. This new version includes a section on technical transfer of testing methods and other items such as out-of-specification results. There is also a new section on the technical transfer of analytical methods. In relation to analytical methods, the USP is proposing a revision to its chapter covering method development. The Pharmacopeial Forum, which details proposed changes, recently outlined Chapter 1010 ‘Analytical Data – Interpretation and Treatment (Revision proposal target, USP38-NF33 1st Supplement)’. With the draft, new text is introduced to clarify the use of secondary Reference Standards. In terms of microbiology, the main impact will be on endotoxin control standards. 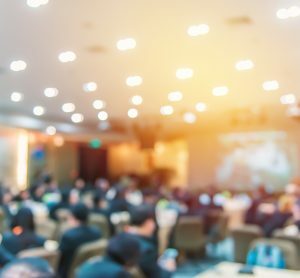 The FDA and the EMA have published a second joint question-and-answer document that provides guidance on the quality-by-design (QbD) concept7. The guidance focuses on design space verification and reflects the conclusions reached by E.U. and U.S. regulators. The implications of this document impact on cleanrooms and contamination control strategies. Microbiologists need to be at the forefront when new cleanrooms are constructed, to ensure that the air patterns and pressure differentials are such that air does not blow directly towards the product. Where there are points of concern and environmental control is not fully in place, then environmental monitoring should be targeted. This article has given an overview of some of the regulatory and standards changes that have taken place, or are in progression, during 2014, focusing on those aspects that are important to pharmaceutical microbiology. Most of these relate to contamination-control measures and they emphasise the importance of understanding microbiological risks when manufacturing medicinal products. Dr Sandle’s primary role is Head of Microbiology at Bio Products Laboratory, a sterile products manufacturer. In addition, he is a tutor with the School of Pharmacy and Pharmaceutical Sciences, University of Manchester for the university’s pharmaceutical microbiology MSc course and a longstanding committee member of the pharmaceutical microbiology society Pharmig.